What do we mean hear it all? The Aftershokz Trekz Titanium Mini headphones not only provide you with amazing sound quality when listening to your music, they also allow you to remain alert and have the ability to still be aware of ambient sounds. You can listen to your music and still hear what’s going on around you. This perfect for those out for a jog, listening to music at home etc.. enjoy your music without worrying you’ll miss what’s going on around you. 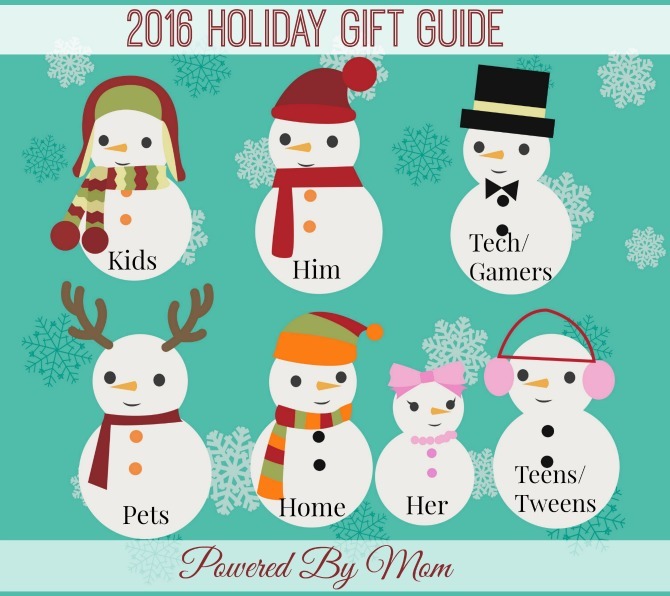 The Aftershokz Trekz Titanium Mini Headphones are a Powered by Mom Holiday Gift Guide Top Pick. I love these headphones, the hard part for me is deciding who gets to have them. I’m tempted to keep them because they are comfortable and don’t have to go in my ears. They’d be great for hubby and my daughter, especially my daughter who dislikes most earbuds as they are too uncomfortable for her. I’m tempted to give them to her because she always has headphones on at home and can’t hear me when I’m calling her. With the Trekz Titanium Mini headphones she could listen to her music without disturbing anyone else around her and still hear us calling her! The technology is amazing, you don’t “hear” anything more than you would with other headphones when you’re around the person wearing them. The band is comfortable and again nothing goes in your ears. I’d love these for long plane or car rides. All earbuds after a few hours start to make my ears sore and even some headphones. I’ve had some long travel days, like the 18 hours on planes from Israel to home here in the Pacific Northwest. I like to watch movies or listen to my music to tune out the airplane noises. That’s it we’re just going to have to share these awesome headphones or each get our own pair. We are impressed with the overall quality and comfort and wowed by the bone induction technology that is also perfect for young eardrums in kids, tweens and teens. « The CiPU Tote Diaper Bag is your new best friend! I think it’s great that you can hear your surroundings. Sometimes you can’t hear anything but your music and if you’re out walking or riding that could be dangerous. I think l am having trouble with my hearing. I wonder if this technology will bypass the problem. Would be great if that is true. I like the style & that you can hear your music & still be alert to your surroundings . This is a great feature —> IP55 certified to repel sweat, dust and moisture. I have ruined countless sets of earphones / earbuds that could not handle sweat or rain ! My ears get so sore when i have ear plugs in them. I love this concept! I love that you can listen to music and still hear what’s going on around you. These ould be great for working out! I love how they work & how you can listen but still hear things around you. That is amazing. I would love them for my grandson who tunes me out a lot. I really, really like that there there is nothing that actually goes inside the ears. And these look super cool, too! My favorite thing about this review is the very good photos and visuals. Many reviews have 1-2 photos and aren’t very specific. This review helped answer some questions based solely on visual aid. wow. innate having to use my earbuds…mostly because my cat loved my eat kids. everytime he sees them he sneaks around till he can figure out how he can bite them. I had to coverall my electric cords cause he was chewing on all of them! How amazing is Bone Induction Sound! Would love to just try a pair on and listen! Bone conduction technology sounds interesting- it must be awesome to use these! Being able to still hear? Unbelievable! I love the fact that you can listen to music but still hear the background noises that you need to hear for safety! Most other headphones block everything out and could potentially be a hazard. I also love that they are waterproof! I was not aware that there are headphones on the market that are waterproof! And the icing on the cake – you do not have to stick them in your ears! Those drive me crazy and they never stay in anyway. I think these are are about as perfect as you can get! These would be great for me as i always have problems with headphones or earbuds that go on ears. i like that you can also hear whats going on around you while wearing them. I love that these headphones don’t go inside your ears. These are perfect for bike riding for safety reasons. It is an amazing technology in these headphones. I like that you can hear ambient sounds while listening to your music. I could use these while working out. I like how I would be able to her if the doorbell is ringing or the dog is barking while I am working out. These have a great design. I think these would be great for people who like to listen to music while jogging because of the safety factor. WOw, I learned that Bone conduction technology delivers music through your cheekbones, ensuring ears remain completely open to hear ambient sounds. I enjoy that this is an earphone that doesn’t need to be placed in your ear. My ears always get itchy when I use regular earphones. The science behind this is interesting. I would like to hear how they work when used, interested. Liked learning about the bone conduction technology. These would be great for my workouts. the fact that you can hear the music and other outside noises is a neat idea, especially if your active outside, and can be aware of whats going on around you. The bone conduction technology is amazing. I can’t believe they can do that! great for safety to be able to hear clear music and still be able to pay attention to what is going on around me is a plus. I wonder if I would be able to listen to my music and still understand spoken words from other sources? I love the colours these are available in. These would be great to share as well since they don’t go in the ear and get ear wax all over them…YUCK! I love that the sound bypasses the eardrums. I have never heard of a feature like that, but it sounds like a really nice feature. its cool how you can still hear other stuff while listening, this would be great for walks alone and stuff so you could hear someone or something around you. I love the idea of these. I can’t believe these weren’t created sooner. I love your great review on the headset as it meets and exceeds safety standards and it is so great at being able to hear background sounds. Thanks for sharing the article. These are truly amazing! I have an little friend with Downs. He plugs his ears by pressing behind his ears. I love the fact that you can wear these and be able to hear what you are listening to and still be able to hear whats going on around you. I hate things in my ears so these would be great. I like that these don’t actually go into your ears. They would be perfect for smaller ears. I like that they don’t fit in the ears but outside of the ears. I really like that the Transducers guide mini vibrations through the cheekbones to the inner ears, delivering sound without plugging or covering them. We find the ear buds that we have fall out of our ears and these wouldn’t do that! I really like the fact you can wear these headphones and hear really well plus still know what is going on around you. I love how these sit behind your head, you don’t even have to put them in your ears! do they feel secure when they are on your ears? I love that you dont have to stick them in your ears. I find headphones like that very uncomfortable. These look great! I like how you don’t hear the excess noise when you wear these. I also like the blue color! Love that these don’t really go in your ears. My boys will definitely want some of these. I’ve used behind the ear headphones before and I like how they stay on the head and are super comfortable. The Aftershokz Trekz Titanium Mini Headphones travel through the cheekbones, so your awareness isn’t compromised like most headphones. I like the bright colors, so it is harder to misplace and can be identified easier. I’d love them for my daughter. She loves listening to music. My daughter can listen to music but still can hear me when I yell for her! I have a pair of Trekz Titaniums and they are awesome. I run with them and can still hear traffic as well as enjoy birds, etc. I even wear them while mowing the lawn – can put in ear plugs and still hear music. I love that ambient noise will be audible! This way my husband can hear his phone at his desk if it rings while still listening to his favorite music! I like that there are no wires to get caught on stuff! I would love the comfort of these. Earbuds are so annoying and earphones tend to be bulky. i like that the Transducers guide mini vibrations through the cheekbones to the inner ears, delivering sound without plugging or covering them. sounds really cool and i can’t wait to see how i like them. I love the concept of these headphones. I’d really love to have a pair for both my boys. These headphones look awesome! I love that nothing goes in your ears at all! I think it’s important to be able to hear what’s going on around you when jogging, etc. These headphones sound like they are alot better for your ears I would love to own them thanks for sharing! I love that you can still hear ambient noise and stay safe. I really like that they don’t go in your ears. Most that go in the ears are uncomfortable, too much so to wear very long. I also like you hear what’s going on around you. Very cool! I have to do lots of daily physical-therapy exercises, which are mind-numbingly dull. I’m thinking that maybe if I listen to music while I do them, I can survive them. So I appreciate hearing about product that might help me get through this. I love that these wouldn’t cause sore ears. My earbuds drive me crazy after a while. I like the new technology. What a great idea. I don’t know who needs these more, myself or my husband! If my son wasn’t so young I would get him a pair for when he gets some video game time but I couldn’t trust him and my daughter not to destroy these in 5 minutes. These are so cool though!!! My cousin has a pair of these and he let me borrow them. I loved it, the fit is perfect for me and all my activities. The sound was the best I have heard for the price. First of all my character im- ogie looks totally constipated. Really guys? I’m scared looking at him. He should at least put on a smile. lol .On a positive note, these headphones look AWESOME!!!. My kids would use it. I like the bone conduction technology. It’s great for staying alert and safe. These look perfect for my daughter. I’m interested in seeing how well you can still hear things going on around you without giving up on clarity of the music. I need this in my shady neighborhood for when I’m walking. I need to keep an ear out for inbound dog attacks. This was neat to learn, have never heard this before! I like that they are open and allow you to hear your surroundings. Perfect for out cycling, walking, or jogging. I like the bone conduction idea. These sound great,and look great,I am always on the lookout for a great pair of headphones! Perfect for all of the running my son does.They stay right in place and always provide the best sound. I love these, my husband can wear when he is riding his bike and keep him alert with his surroundings. It will also help him hear me when he is in the house and playing music or on the computer. Great invention! This is a really innovative idea. I would really like to have a set. I like the quality of these headsets also I like how you can wear them. Thank you for sharing. What I liked and learned about the Aftershokz Trekz Titanium Mini headphones when listening to your music, you can remain alert and have the ability to still be aware of ambient sounds, great for tweens who use them constantly. I like that you hear the music threw your cheek bones so you can hear if something is going on around you. I’d love to try these headphones. I hate earbuds and won’t wear them. I like this about these—-You can listen to your music and still hear what’s going on around you. To be honest, I have never seen headphones like this. But this is something my daughter could use at the gym and I can also use at work without it interfering with the conversations/phones ringing etc… that I need to hear while at work. I don’t really like headphones that you have to put in your ears, because they keep falling out, so this design is nice! Everyone is so oblivious to their surroundings with headphones or ear buds in. I like these so I can keep track of what’s going on. I love the technology of these headphones. My kiddo is always wearing hers and I worry about her hearing. I love that you don’t have to put them in your ear and the can cust be on the outside. The look more comfortable than ear buds. I dislike anything that goes in my ears, so this sounds actually perfect for me. 2/4 of my kids also do not like things in their ears, so I think I would have to share! I would actually keep these for myself. I hate tangled cords when I work out. I have a green pair and I really like them. My son wants a pair now. I learned about the Bone conduction process. Also the nice technology that they implemented into these break through headphones. I would love a pair of these because my current ones aren’t practical as they are not Bluetooth. I like that they do not go in your ears. Headphones make your ears sweat and earbuds can get uncomfortable after a while. I think the technology behind this this amazing! So perfect for those of us who hate putting things in our ears (for me its painful). And I would love this for when I work out and jog. Interesting . These would be so great for running. I love the personal safety feature of these. Another awesome thing is people around you can’t hear much which is great when riding on a bus in close proximity to others. These would be so great to have at the gym! I love that you can listen to your music and still hear what’s going on around you. I have always wanted to try bone conduction headphones. I think it would be great to no longer have sweaty ears from standard earbuds during workouts. I love the lightweight feature of these! These would be great for working out as well. I like that they don’t sit inside your ear. These look so great and I love that they are wireless. These are exactly what I need. I wear hearing aids that are inserted into my ear, so I can’t wear earbuds. I really like these headphones. It is great that they don’t block or cover your ears! Oh, they are for kids. I’d give them to my niece. She’s 13. I think she’d like them and they’re stylish. Technology is crazy these days! Awesome that you can get such quality sound from this product! I really love the minimal design of these headphones. They look well designed and the ability to still hear ambient noise makes me feel like they would be safer to wear. Earbuds never stay in my ears, these would be great for me and they would be safer to use on my walks. I love that they don’t actually go in your ears. I run over an hour and a half every morning and having something stuck in your ear that long gets uncomfortable so these would be great! These would be perfect for running on the weekends. I really like the feature that you can listen to your music and still hear what’s going on around you. I I also like it that the buds are not in your ear. Hope to hear the music in my ears. I learned something I didnt know at all , I learned about the process of bone conduction , and how it works! Thats awesome! These are very cool. My kids would like them. I learned how the process of bone conduction works. Thanks for sharing! These would be perfect for my husband on his runs – I love that he could still hear ambient sounds. I really like that the bone conduction technology delivers music through your cheekbones, ensuring ears remain completely open to hear ambient sounds. These headphones are so modern and really nice looking. You had me at lightweight! But I also like the fact that they don’t go in the ear so there is no sore ear syndrome after a few hours of wear. These sure look like great headphones!! Our daughter is forever getting her corded ones stick in a door or breaking them ripping them out of her back pack!! I think it is time we move to a blue tooth ones and say goodbye to the cords!! These are just want my husband needs. I love that they don’t cover your ears and you can still hear around you when your wearing these. These are really cool headphones – perfect for walking/running outside! I think its the perfect size, lightweight and love the colors . . . I love that you can still hear what is going on around you. I also like that they dont go in your ear. I always find that earbuds are uncomftable for me and can only wear them a short time. (Aftershokz Trekz Titanium Mini Headphones) These head phones are really good, the sound clarity is just amazing too. I bought my husband a pair of the bigger ones a couple of years ago for Father’s Day and he loves them! I love that you can still hear what’s going on, I worry about my son not paying attention to things around him when he has headphones on. I love that your ears aren’t covered so that you can hear what’s going on around you. I like that these headphones are wireless and that they produce high quality sound through bone conducting technology while still allowing the person who is using them to also hear what is going on around them. I like the idea of bone conduction however I would have to try out as It is hard to believe you can hear your music as good as with in ear headphones. It is a great idea however that you can hear noises around you. I like t hat the sound goes directly to your inner ear. These are so high tech! I love that they are durable and lightweight titanium! The sound quality is most likely above standard! These are great!! The lime green color caught my eye. I’m getting a lime green running belt for Christmas. These seem like a safer alternative than regular earbuds that don’t let you hear your surroundings. I really like how they have different colours, that makes it a little more fun! That’s really interesting that the sound travels through your cheekbones! I would be very interested in trying these out! I love that these don’t actually sit in the ear! Hubby hates the buds in his ears so these would be perfect for him! I’ve really been wanted a set of bluetooth headphones for awhile now – no dangling wires. These Aftershokz Trekz are so innovative! I love that not only are there no wires, but you can still hear other noises around you. I use headphones plugged into my now ancient collectable iPod Touch inserted into one of those sports armbands when I’m baking/cooking – don’t judge. 😉 How awesome not to worry about the wires! These would be amazing because I am always afraid of using headphones in case I miss my kids calling, or hearing something important. With these you don’t have to worry about that! How amazing is that? I love your reviews by the way! Thanks for the hard work. Happy Holidays everyone! I like the idea of how these headphones work by conduction. I have a hard time using earbuds because they are just generally uncomfortable or don’t fit well. It’s an interesting idea, to be able to hear through one’s cheekbones, while still able to listen to what is going on around. I really like that you could be wearing them and still hear what’s going on. This is a big safety issue.